Your exteriors, driveways and paths are assaulted with wind, dirt and grime, hiding their aesthetic excellence and marring your image. 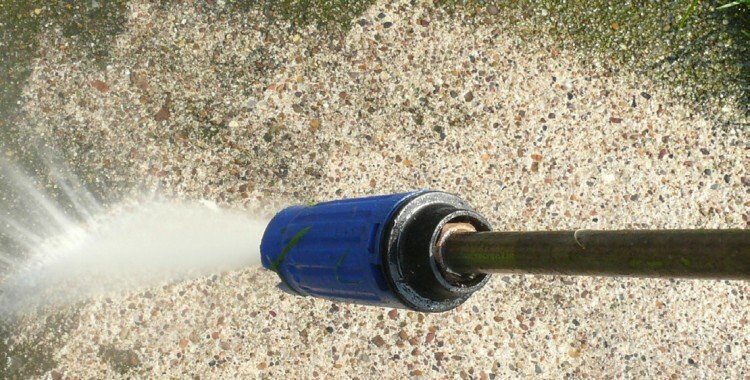 Rather than just tackle it with a hose or mop, high pressure cleaning can remove years of grime and dirt to leave your property sparkling clean. Armed with the latest in pressure cleaning technology, ExtraClean is your best bet for a thorough, affordable clean. We can handle almost any commercial space, as well as other industrial and corporate pressure cleaning needs. All work will be done promptly and professionally, guaranteeing stunning results in no time flat. We will work with you to assess which areas of your property are in the most need of a pressure clean service and those that are not suited for it; naturally, windows and any weaker wall surfaces are not at all ideal for this service. When an area to be cleaned is unsuitable for high pressure cleaning, we will do our best to provide an effective cleaning alternative. Just one high pressure clean will wipe away years of dust and grime. Call us on (07) 3245 3933 today to find out more.